While us women like to think we’ve got everything under control, all the time (we pretty much do), there are occasions where things may slip our minds. For example, remembering to turn off our styling tool before we start our day (or night). 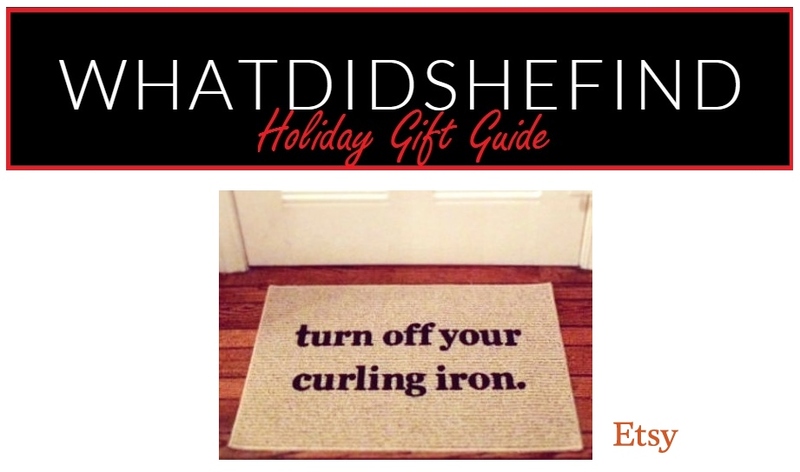 This brilliant doormat ensures that a reminder to “unplug” is the last thing you’ll see before you leave your front door, and reads, “turn off your curling iron.”. Hand-painted and made to order, this fun 18 X 30 inch doormat can be purchased from “BeThereInFive” on Etsy for $40.00 US. And, if you or your friend’s styling tool of choice happens to be a straightener instead of a curling iron, there’s a mat for you too!